Have you heard about digital business transformation? Here at Salford we have and we want to be part of the process that helps transform your digital businesses. Do you want to know how our students work with internal and external partners? 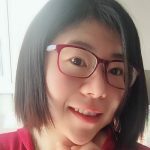 I am Dr Yun Chen and I run two modules working closely with industry bringing our undergraduate students within the digital business transformation process. My Mobile App Development module is a great example. This year our students developed real applications and more importantly, they worked with our established industry partners Apadmi and Sigma too benchmarking their skills against industry standards. Could your business benefit from a number of fresh pairs of eyes looking at your app development project needs? Like you, I know that mobile devices are one of the most popular channels that help people engage people with digital businesses activities. This means it is really essential now to make sure that students understand not just the mobile technologies and theories of design but also its implementation in the real world. Let me tell you more about how Salford Business School does this. Comments Off on How do our digital business students work with industry? How does 3D printing work? 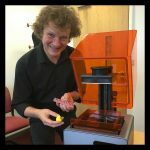 Have you heard abut 3D printing technologies? There are lots of things you could print. 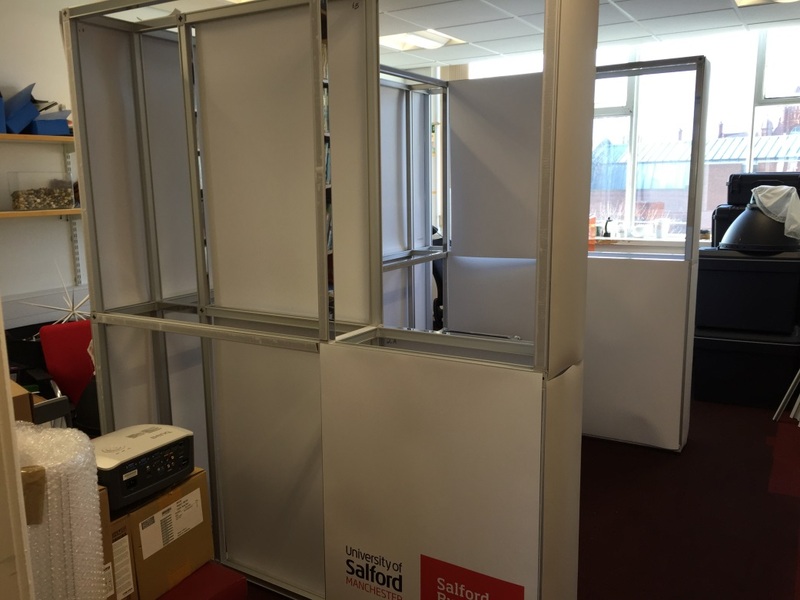 We have already been printed a few things already, like a duck, a Salford ambition sign and a butterfly clip! Recent improvements and falling prices of 3D printers meant that the technology is more accessible to everyone. . 3D printing works by a layer-by-layer creation of physical objects based on digital files that of their design. Nowadays, 3D printing technologies have become an affordable and viable tool for business and consumers. So, how can 3D printing transform online retailing? Retailers can sell blueprint design plans that consumers can purchase on the web and print at home or at 3D print shops. 3d printing has become very popular and industry in its own right since the world’s first 3D print shop opened in Zurich in 2012. Since then more pops up opened in Munich and Vienna in 2014. These shops have begun to offer bespoke final prints and designs can be adapted to improve and modify functionality. Also, electronically transmitting digital design printing have no tax costs. Nike has marketing its first athletic shoe with 3D-printed components to download and templates for shoes that can be printed out overnight. Besides industry and business, 3D scanning and printing can be used for educational purposes in schools and universities. Teachers and students can creatively combine engineering, maths, design process and history. 3D printing is also starting to revolutionise manufacturing in a wide range of industries. A number of technology innovations have been recently enabled through Raspberry Pi. What is Raspberry Pi? In a nutshell, it is a low cost, credit-card sized computer that you can plug into a computer monitor or TV, and use standard keyboard and mouse to work with it. 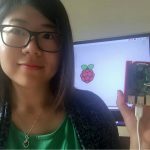 These Raspberry Pi devices are enabling people of all ages to explore computing, and learn programming in languages like Scratch and Python. They can do many things that you can do with a traditional computer, such as browsing the internet, play high-definition video, make spreadsheets, word-processing, and play games. Originally, they were designed to be used in education for creative teaching and learning. The digital revolution has significantly impacted business. 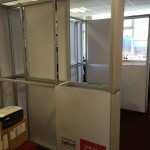 The Unit provides Salford Business School and particularly members of the Centre for Digital Business with a creative platform to support research projects. Some of the research areas could be 4G Retailing, Digital Marketing and Digital High Street, with a focus on business exploitation, implementation and integration of a range of digital technologies, tools and methods. Comments Off on What is #PUPRU?